Sarah Knight is the regional content director for ABC Local Radio in Western Australia. In her 25 years at the Australian Broadcasting Corporation, Knight has been involved covering a number of emergencies for Local Radio including the Roleystone Kelmscott and Margaret River fires in 2011 and Tropical Cyclone Rusty in 2013 among many others. She has been a lead trainer in emergency coverage practices within the organization. Knight looks after staff in six radio stations in Western Australia stretching from the fire- and flood- prone south to the cyclone-, fire- and flood- prone north. 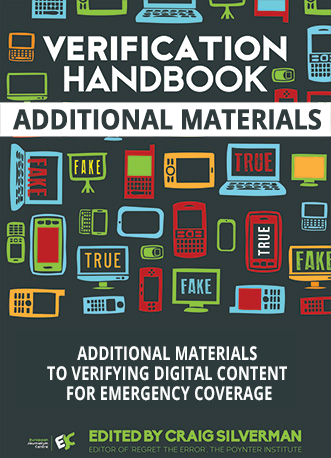 News organizations traditionally have had two information-driven roles during an emergency. The first is to provide people the information they need to respond to an event. This information must be clear, timely and unambiguous. Often this information comes directly from government agencies, the army, fire service, police or another official source. The second role is the one newsrooms practice (or should practice) every day: to share critical information fairly and without favor or prejudice. These days, there is also a third role. People today often first learn about an emergency threat through social media. 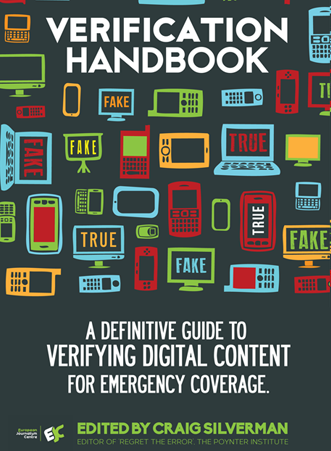 Rather than being the first to inform people about an emergency event, newsrooms and other organizations often find themselves acting as a critical second source of verification, a filter that separates signal from noise, and rumor. Preparedness is key to getting accurate information to the people who need it - and to ensuring you don't accidentally spread false information. What can you do to make sure that you get the information you need to keep people safe, and to be the trusted source during a time of chaos and confusion? In this chapter we'll look at some simple ways to prepare yourself and your colleagues to deliver quality, timely information during an emergency. The first thing to decide is what informational role your organization is going to play. Are you reporting and/or are you assisting the community by issuing warnings and timely advice? The Australian Broadcasting Corporation separates the two. Our newsroom reports and our programs on Local Radio and to an extent our 24-hour news channel News24 issue official warnings and advice, and report later. The ABC policy says emergency broadcasting consists of transmitting formal and official warnings related to an emergency event, and transmitting information provided by other sources, including listener calls and social media and recovery broadcasting. Our policy does not apply to "Staff and contractors of the ABC News Division, whose reporting of emergency events is excluded." With your role(s) defined, the next thing is to arm your people with the local information they need to respond quickly, and to understand the implications of a potential threat. This means analyzing what kind of emergency situations are likely to occur in your area, and to prepare for them. What are the most common and likely natural disasters that strike in our area? What kinds of crimes or emergencies tend to occur? What are the critical structures in the area (highways, bridges, etc.)? Are there sensitive government agencies or military installations that could be targets? What are the risky roadways or other infrastructure elements that often are the scene of emergency incidents? What neighborhoods/regions are home to gangs, rebel groups, etc.? Now that you've identified some of the more likely situations, begin to build a list of the authoritative sources - both official and unofficial - that will have useful, critical information. This includes first responders (are they on Twitter? Facebook? Can you build a list of them to have ready? ), as well as local experts at universities, NGOs and government offices, and the communications leads for important agencies, companies and other organizations. Gather phone numbers, Twitter accounts, Facebook pages and put everything into a central, accessible format, be it a shared database, spreadsheet or other means. Organize your contacts by the kind of situation where they might be most helpful. Every journalist or humanitarian worker needs contacts. But it's not just about the phone numbers and other details - it's about the relationships. Trusted sources you know you can call for quality information. Sources that trust you. That trust is not going to instantly develop during an emergency. You need to be proactive. If possible, meet your sources face to face. Invite them to look around your newsroom, office or facilities. Show them what you do with the information they provide. Explain how you will be helping them get their message to the people who need it. Take time to visit them and see how they work during an emergency. Understand their processes and the pressures on them. Knowing you personally will help you get priority when they are busy dealing with multiple requests. As well as relationships with key personnel in emergency management services and other organizations/agencies, consider the relationship with your audience. Do they know that you will provide them with timely information? Do they know when they are likely to hear or see it? Do they know what services you provide - and don't provide - during an emergency? For newsrooms, preparedness stories are one way to communicate the message that you will be a source of information that can help them. For example, at the ABC we publish reports offering a view of what the upcoming fire season looks like, as well as guides to packing emergency kits. This sort of content can be offered by newsrooms, aid agencies and other organizations, and helps set the stage for how you can be of help to the public. It's also important to get the information flowing the other way, too. Your audience and community will be a valuable important source of information for you in an emergency. Encourage your audience to call, email or text you with information. This can start with traffic snarls, weather photos and other information. At the ABC we start with an Emergency Broadcast Plan. In it are clear instructions for how to treat official warnings on air, as well as information such as transmission coverage maps to make sure the warnings get to the people affected. We also have in our plan information that anchors can use on air to help people. The information comes from the various emergency management agencies. For example: "Fill up your bath with water so you can use that water to put out spot fires if the water pressure falls," or "Fasten all cyclone screens. Board up or heavily tape exposed windows." Part of your preparation should also include gathering advice that can be provided to the public when disaster strikes. This can be collected as you reach out to your sources ahead of time. Be sure to create internal processes that require you to reconnect with your sources to ensure this information is current. This updating can be scheduled if your area is prone to weather-related emergencies. In northern Australia, for example, cyclones are a big concern. They are also somewhat predictable in that there is a season when they're most likely to occur. Prior to the season, our local plans are updated, and emergency agencies are called to check that the information and contacts are still correct. Staff are brought together to go through the procedures in small groups. This not only ensures that the information in the plan is current but also helps to re-establish relationships that may have been neglected in the quiet period. A tool we've found handy when training staff are hypotheticals based on previous experience. The hypothetical forces the staff to think through what they would do in that scenario and can sometimes lead to vigorous discussion about best practices. Technology and tools change quickly, so this can be a great way to ensure you're up to date. What to do when a catastrophic weather event is forecast? What do you do when you're asked to evacuate the studio? What if you're doing your normal shift and a warning comes in? Work health and safety is a key concern. Ensure your people have adequate training in being in hazardous zones. In Australia, for example, fire and emergency authorities hold training sessions for the media in reporting from fire zones; staff are not sent to the fire ground without having completing that training. Emergency management agencies often run media training sessions to train journalists - in the hazards of visiting fire grounds, for example. 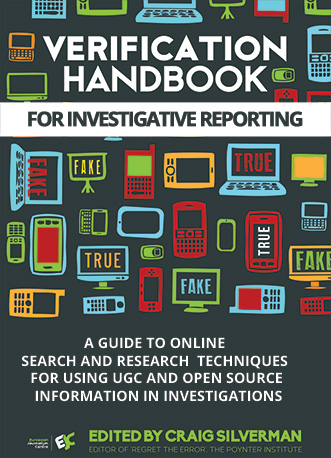 This can be especially important to participate in if only journalists accredited with such training are able to pass through roadblocks to report the story. (The training in itself is another way for the journalist to make contacts within the emergency organization and to begin building trust.) At aid organizations, training people is especially important, as they can remain on the ground for long periods of time. Finally, don't neglect new hires and new members of your team. We have a policy of inducting staff in emergency broadcast procedures within two weeks of their starting. Emergencies unfortunately don't wait for an annual training session! It's not enough to have fast communication pathways with external stakeholders. You need to devise the workflow and communication plan for you and your colleagues to work together. How you will communicate what you're doing with the rest of your organization? Who is in charge of making the final call on what gets shared/published/broadcast? Is there a paywall that needs to come down in an emergency? Will you have a dedicated section on your website? What does your technical support team need to know/do? What about your website producers? Those handling social media? Are your transmitters and other critical infrastructure safe? At the ABC we've developed a Situation Report that is distributed widely through our email system when there is a significant emergency. This ensures that everyone has an idea of the threat and the ABC's response and who is managing the emergency internally. During a major emergency, such as the recent New South Wales bushfires, we ask the rest of the network to not call the team dealing with the emergency for interviews about the emergency. We also ask that teams outside of the affected area not call emergency authorities so that they are not overloaded. Sometimes we allocate someone to deal with outside requests specifically so that our team can get on with delivering emergency information to the people under threat. When it comes to verification, the key piece to communicate is the workflow for how content and information will be gathered, checked and then approved or denied for publication. Who does the checking and who reviews that work? How do you ensure that each piece of content an benefit from many eyes, while still enabling you to move quickly and get important information out? Being there at this time can build trust with your organization. One of the common complaints post-emergency is a feeling of abandonment. You need to aid your staff's recovery as well. A debrief after the emergency is essential to allow people to vent and to make sure you understand what happened in order to improve your service next time. There will be a next time. Staff members should also be checked on individually. Often these events can be traumatic, and not just for those who physically go to the disaster zone. Staff members may have been affected personally, with family members at risk. After the 2009 Black Saturday bushfires in Victoria, Australia, many staffers reported feeling helpless after receiving phone call after phone call from desperate people caught in the fire zones. Years after the Queensland floods of 2011, staff who "soldiered on" reported post-traumatic stress symptoms. It's important staff and managers recognize the symptoms of stress in the workplace and have the tools or resources to help at hand. You can cover an emergency without preparation, but your coverage will be more effective and less stressful on your staff if you create a plan, develop external relationships with stakeholders, set up communication pathways within your organization and ensure staff welfare through training, offering support during an event and conducting effective debriefs. Aid organizations need to consider the target audience for information. Are you aiming to source information and provide it to your people on the ground to direct their efforts? Are you feeding information to the media or government? Are you communicating directly with the public using social media platforms? Remember if you aren’t telling people what your organization is doing… who is? Someone will be and it may not be accurate. Make sure there isn’t an information vacuum.